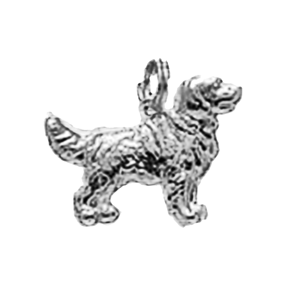 SKU: Dog Collection. 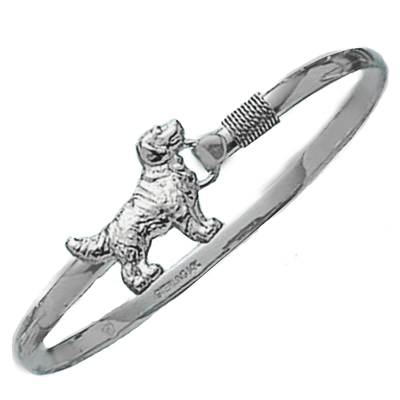 Category: Dog Bracelets. Tag: dog1. 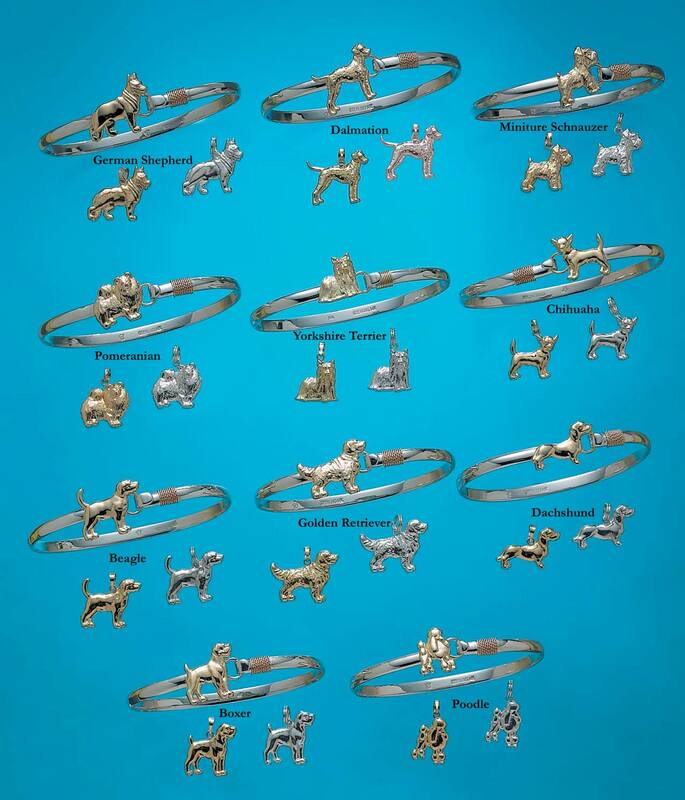 Our collection of 14 breeds of dog cuff bracelets in TwoTone and all Sterling Silver and also available are 14K Gold Pendant and a Sterling Silver Pendant. All Bracelets and Pendants are the same price. Pendants come with a Sterling Silver plated 18″ Snake chain. Order using the above options and during checkout, in the box titled “Order Notes” insert the breed name of the dog you would like delivered. Use the arrows in the upper left corner of an image, if available to increase image size. BREEDS: German Shepherd, Dalmatian, Miniature Schnauzer, Pomeranian, Yorkshire Terrier, Chihuahua, Beagle, Golden Retriever, Dachshund, Boxer, Poodle. All weights and measurements are approximate There may be variations in items as they are individually hand crafted. 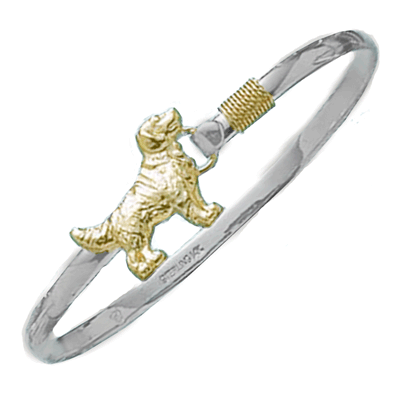 | The added charms, sea glass, etc, each have their own individual characteristics.